Artificial Intelligence: Technology of the Future? Today, artificial intelligence (AI) business technology, also called business intelligence (BI), is shaking the foundation of commerce. Although the technology is complex, there are numerous ways that it can help business leaders improve their operations and boost profits. 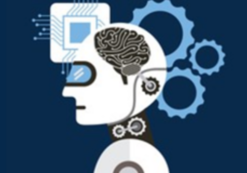 Understanding AI and machine learning (ML) is initially challenging for business leaders, but highly beneficial. Big data is taking the business world by storm. As the world’s information stores grow and become increasingly valuable, the demand for skilled information specialists is on the rise. Resultantly, advanced training in data science is becoming increasingly important. 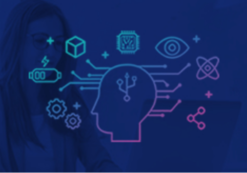 With specialized training in artificial intelligence and machine learning technologies, career professionals can help enterprises grow more efficient and productive. Executives use these technologies to eliminate redundant, menial tasks that reduce organizational productivity. By implementing artificial intelligence, business leaders automate key systems that enable enterprises to optimize the use of available resources. Company heads leverage AI and ML to improve collaboration, security, service quality and network infrastructure. Ultimately, this optimization of resources coupled with increased productivity improves firms’ bottom line. In fact, analysts forecast that the market for artificial intelligence will climb to nearly $2 billion by the year 2025. Technology leaders have invested considerably in the development of artificial intelligence systems that enable enterprises to improve the customer experience. 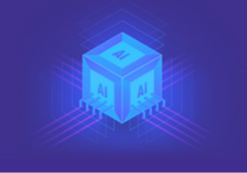 For example, they have developed AI-optimized, cost-effective chipsets that are effective for managing big data systems. In other fields, marketers use artificial intelligence to develop advertisements that help brands develop strong, sustainable customer relationships. Other kinds of organizations use artificial intelligence to analyze large stores of unstructured information. This might include healthcare providers who must quickly evaluate large datasets to develop treatment plans that are most likely to result in positive outcomes. A recent survey reveals that 88-percent of consumers are comfortable with sharing information generated by AI-powered wearable devices. As this sentiment increases, enterprises will gain access to a rapidly growing body of detailed consumer data. In the healthcare field for example, artificial intelligence is an invaluable tool for care providers. Doctors and nurses use the technology for applications such as leveraging smart medical devices that amplify providers’ natural ability to perform their work. In some cases, physicians use the technology for clinical decision-making that systematically drives measurable positive outcomes. Care providers also use AI to analyze evidence-based data and choose the best course of action among an array of scientifically proven treatment methods. According to many studies, this methodology works well. As an example, care providers have used artificial intelligence to promote significantly improved outcomes for patients diagnosed with anxiety and depression. As AI technology evolves, the barriers involved with leveraging the innovation are quickly fading away. Third-party vendors are making the technology available and affordable for small businesses as this growing market continues to mature. Many small business owners desire any means possible to improve their operations and boost their revenue. The same entrepreneurs, however, might be under the false assumption that artificial intelligence systems are too costly and complex for their small organization. In actuality, many small enterprises are using AI and other advanced technologies to cut costs and improve services. These firms are using artificial intelligence to compete on nearly the same level as their larger competitors. Most small enterprises start their journey into the world of artificial intelligence by incorporating a chatbot into their customer service system. This customized, text based digital assistant provides 24-hour, seven day a week support and manages basic inquiries in real time, leaving a positive impression on consumers who are increasingly demanding instant answers to their queries. Remarkably, this powerful resource is available to small businesses for little to no cost, making the tool available to firms with even the smallest budgets. Many small organizations leverage AI technology without even knowing it. Social media vendors, for instance, such as Facebook and Google use the technology to run their advertising platforms. Their algorithms optimize ad campaigns that identify and target just the right audience, allowing enterprises to quickly and easily deliver their media communications to the ideal consumers. In the maturing universe of artificial intelligence, businesses of all sizes are taking advantage of the technology. The resource helps companies improve efficiency, increase productivity and optimize their organizations. With the cost of this technology diminishing, a growing number of small to midsize firms are leveraging the innovation to compete in an increasingly competitive marketplace. These firms are starting to benefit from the same technology as their larger counterparts. As the technology evolves, all business leaders with the ingenuity and tenacity to take advantage of these advanced innovations are more likely to enjoy marketplace success for a long time to come.